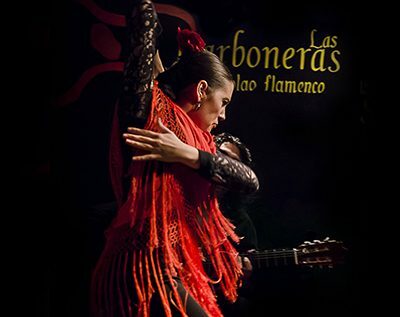 Flamenco in Madrid, the cheapest and best quality option! Home Flamenco in Madrid, the cheapest and best quality option! You are probably wondering, why flamenco in Madrid is so expensive? We have the answer; is because some of the best artists of the flamenco world (specially from the south of Spain) are here. Then, you can be sure that expensive shows in Madrid will be some of the best of the world. You want to go the same places, but much cheaper? The only thing you have to do is get this pack with us. 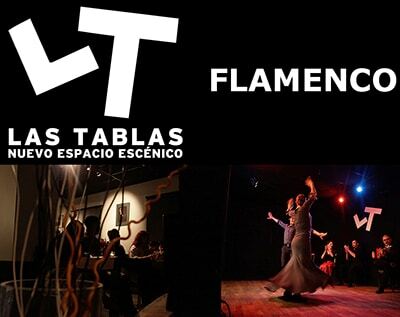 With us you’ll get the entry for any of 2 of the top 5 “tablaos” for flamenco Madrid in a shared table with other travellers in here you’ll get 1 drink included. Compare the prices in other websites and you’ll see: this is much cheaper. Also, with this pack, after the show you can join our pub crawl and get the 50% off. Isn’t a good pack? Meeting space for the stimulation of the senses. Concentrated in a cozy space where you will discover the passion of flamenco. Tablao Las Carboneras is located in the most traditional neighbourhod of the city, the Madrid of the Austrias, in the basement of the old palace of the Count of Miranda. Born from the idea of recovering the old cabarets, this tablao and restaurant combines flamenco and avant-garde image with the best of…..
Our aim in MADRIDE TRAVEL is to offer you always the best quality activities foe the best price, that’s why we work only with the best places as well and in the Flamenco Madrid, Las Tablas and Las Carboneras are 2 of the top 5 places in the city, so you can be sure there is no way you’ll be dissapointed in any of the both options.